A person will rarely experience all of these effects, and some people may only experience a few of them. Who Answers? to speak to a treatment referral specialist about recovery programs for Norco withdrawal. How long the person used Norco. Individual differences in metabolism and psychological makeup. The way the drug was typically taken (injecting or snorting Norco for more intense highs could lead to more severe and lengthy withdrawal syndromes). Whether Norco was abused with other drugs, such as alcohol. 8-24 hours after last use. The person experiences teary eyes, runny nose, yawning, restlessness, and insomnia. They may also experience dilated pupils, hair standing on end (piloerection), and abdominal pain. 1-3 days. The symptoms being to peak. People will often experience restlessness, loss of appetite, and fever, increased heart rate, nausea, diarrhea, vomiting, and dehydration. 3-5 days.For most people, the effects will begin to subside around the third through the fifth day after stopping the drug. 7-10 days. Within a week to 10 days, the symptoms will have decreased considerably. 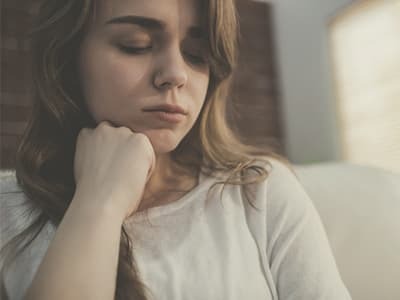 Some people may still experience mild irritability, anxiety, depression, mild flu-like symptoms, and cravings, especially when they think about their past drug use or when they are exposed to situations that remind them of their drug use. Cravings that can be triggered by stressful events or past associations with drug abuse. With continued use of opioids such as Norco, a person may begin to need higher doses of the drug to experience the effects previously felt at lower doses (this is known as tolerance). 3 Tolerance can develop rapidly, and taking increasingly higher doses can accelerate the development of physical dependence. When the drug is suddenly stopped or the dose is drastically decreased, the person can experience a number of unpleasant physical, emotional, and psychological symptoms. Who Answers? anytime if you need help choosing a treatment program for Norco addiction. People who have developed physical dependence on Norco should strongly consider engaging in a formal withdrawal management program. The program can help the person slowly detox from Norco and can also address any medical complications that may occur. Withdrawal management can be performed on either an inpatient or outpatient basis. Going through withdrawal from Norco is only the first step in recovery from a substance use disorder (addiction or substance abuse). Recovering users should enroll in some type of treatment program after the withdrawal process to learn relapse prevention and other skills to help them maintain recovery. In addition, many people who have developed opioid use disorders often have co-occurring psychological disorders such as depression and anxiety, or even another substance use disorder (e.g., alcoholism). These disorders can lead to relapse if they are not addressed. Detox centers. These facilities are set up to treat withdrawal from alcohol and other drugs. They provide medical monitoring, medication, and, in some cases, counseling and other services. Standalone detox centers generally do not provide ongoing substance abuse treatment, and many people transfer to an inpatient or outpatient program after discharge. Inpatient rehab programs. Residential or inpatient facilities offer treatment in a community setting where people live while participating in a program that often includes individual and group therapy, detox, recreational activities, 12-step meetings, and preparation for aftercare. Outpatient rehab programs. Outpatient programs can include individual and group therapy, as well as detox for people with less severe withdrawal symptoms. Outpatient programs require less of a time commitment and allow people to return home after treatment ends. Partial hospitalization. Partial hospitalization is a type of outpatient program that provides a high level of care, including medical supervision and medication management. Most programs include group therapy, and some may include individual therapy and detox. 12-step programs. These are peer support programs that use a step-by-step program in which individuals admit powerlessness over their addiction and work with a sponsor. Non-12-step programs include SMART Recovery, LifeRing Secular Recovery, and Women for Sobriety. Dual diagnosis. Dual diagnosis programs are inpatient or outpatient programs that treat substance abuse and co-occurring mental health disorders. Medications can help minimize withdrawal symptoms and cravings. Detox centers and addiction treatment programs may use medications to help people detox and remain clean from Norco. In some cases, medically supervised withdrawal includes the administration of an opioid replacement medication such as methadone or Suboxone in the hopes of minimizing withdrawal symptoms and cravings. Suboxone (buprenorphine and naloxone) can address both physical withdrawal symptoms and cravings as well as block the effects of other opioid drugs such as Norco. Methadone produces similar effects to Norco, but is longer-lasting and administered in controlled doses. Buprenorphine is another longer-lasting opioid that can reduce cravings and withdrawal symptoms. It has a “ceiling effect,” meaning that it loses its effectiveness beyond a certain dose. Clonidine is an antihypertensive agent that acts on the sympathetic nervous system to help manage certain symptoms of opioid withdrawal such as anxiety, agitation, muscle aches, sweating, and runny nose. A physician may also use a tapering approach in which he or she will administer decreasing doses of Norco or the substituted opioid dependence medication according to a specific timeline. This approach makes the withdrawal process much more comfortable even though it lengthens it considerably. If you or someone you know needs help with Norco withdrawal or addiction, contact a recovery support specialist today at 1-888-319-2606 Who Answers? . A specialist can provide you with treatment options based on your insurance coverage and personal needs.
. United States Drug Enforcement Administration. (N. D.). Drug fact sheet: Hydrocodone.
. U.S. Drug Enforcement Administration Office of Diversion Control. (2014). Final Rule: Rescheduling of Hydrocodone Combination Products From Schedule III to Schedule II.
. UCLA Dual Diagnosis Program. Post-Acute Withdrawal Syndrome (PAWS).